An earlier version of this post originally appeared 11/29/14. It’s fashionable these days to protest Black Friday by staying home, denouncing the commercialism of the holidays, looking down on the shoppers who participate as depraved and craven. 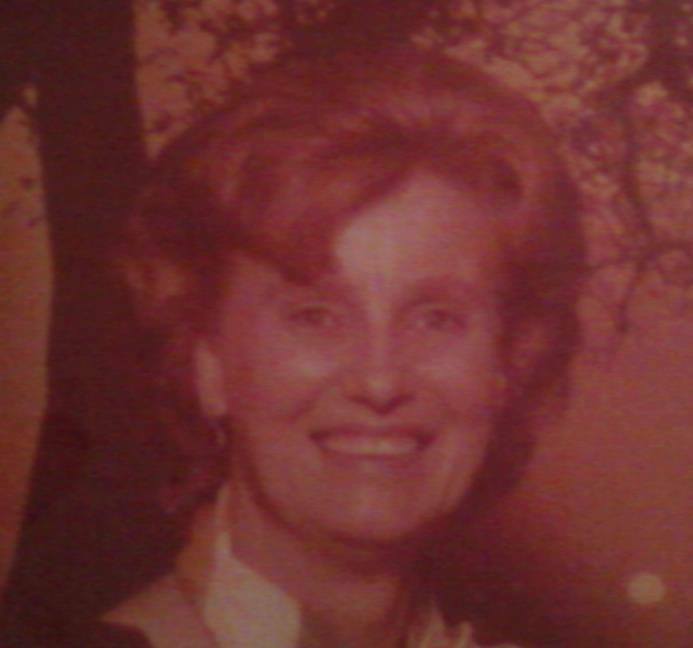 All I can say to that is, allow me to introduce you to my Grandma Bonnie. Although there are many times I think of Grandma Bonnie, certain times of the year stand out more than others. She loved having the whole family over for a holiday, or a Sunday dinner, or no reason at all. When I was a little girl, she told me repeatedly “nothing is more important than family.” It was her mantra, although she would’ve laughed to hear me call it that; she would’ve thought the word “mantra” itself high-falutin’. Getting to go shopping with Grandma was a thrill and an adrenaline junkie’s delight. 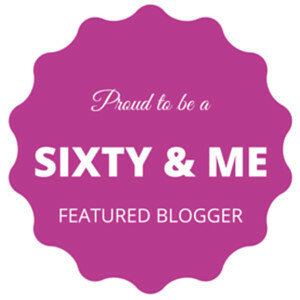 She morphed from sweet, funny Grandma to drill sergeant Grandma. I’d nod my head in understanding, hoping not to blow it, hoping no one else’s grandma had the same plan. “Okay, good. Tic Tac?” Oh yes, please, the orange Tic Tacs! In we’d go, rack after rack, store after store, a blur of a half day and then done. Just like the cooking was more to get the whole family together, the shopping wasn’t really about the deal. Grandma took advantage of Black Friday, and every other sale any time of year. She was money-conscious, sure, but the big payoff for her was seeing the looks of delight on our faces because she’d remembered an offhand comment way back in March about needing a pair of green Dittos. She’d noted the look of longing as we passed the girl in the iridescent purple Jellies, and she’d listened carefully (and with a straight face!) to my earnest 15-minute explanation of why I couldn’t possibly wear any type of hosiery other than white opaque tights because that’s what Lady Diana wore. 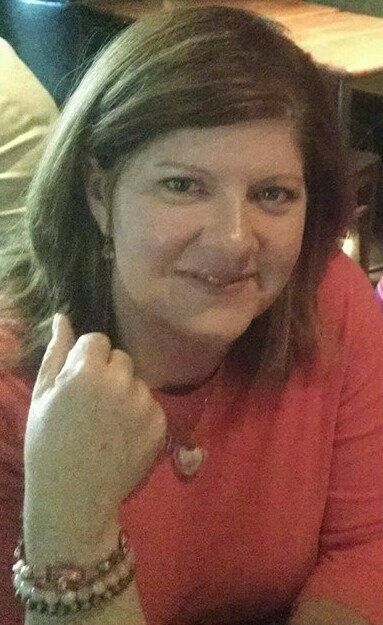 It’s ironic, and unfair, that a woman who got so much sheer joy out of remembering the little things in order to delight her family went on to die of Alzheimer’s disease. It’s unfair and tragic in every family this disease affects. So if you find yourself enjoying Black Friday weekend because you love a deal, or you’re enduring it to put a smile on your family’s face, I’m sending you a virtual high-five. 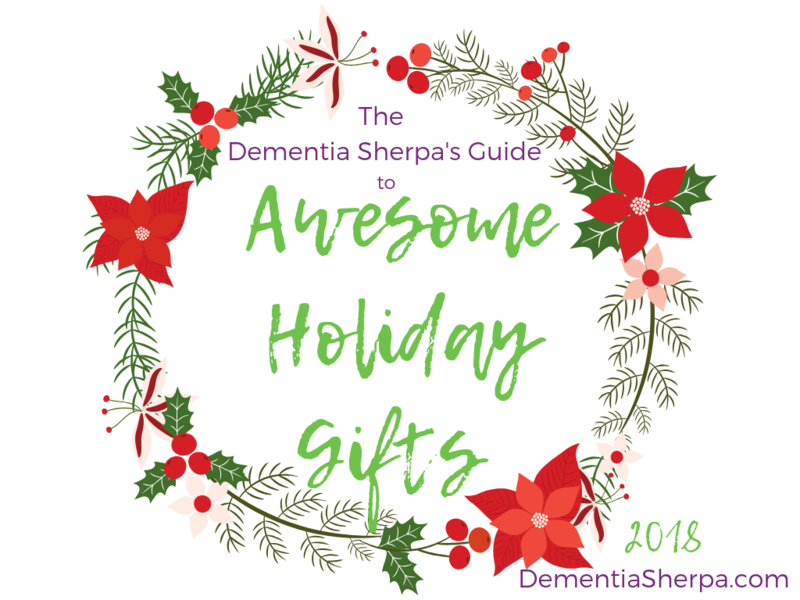 If you’re in the mix because you need some retail therapy because your person is no longer with you, or can’t celebrate in the way she used to, and you know deep in your heart the holidays will never feel quite the same again–I won’t judge. I feel ya, and I’m sending you a virtual hug. And if you want to live without regret, embrace right now. Know you’re lucky if you can still go visit your person, if you can hear their voice, if you can hug them. Believe you’re the envy of others, because you are. Take pictures, take video, take time. Make a decision you’re going to embrace the holidays and your person. Roll around in joy. Wallow in it. Grandma Bonnie was right: nothing is more important than family. 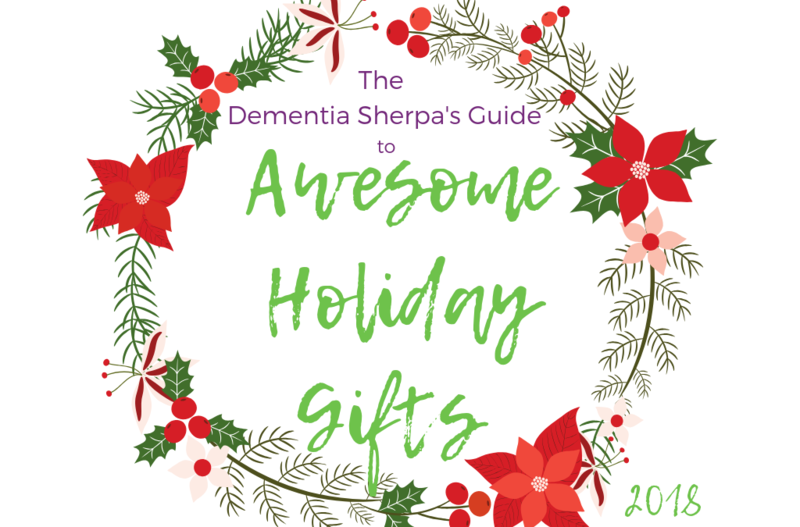 Time and presence are the very best gifts you can give but if you’d like to give something more tangible, grab The Dementia Sherpa’s Guide to Awesome Holiday Gifts 2018. You’re sure to find at least one thing that will delight your person.